If you’re planning your wedding (congratulations! ), you might take a look at who is using Twitter to promote their wedding-planning skills. While you probably want to keep your wedding under budget (like using Worldlabel labels to decorate, for mailing and other crafty ideas), you can find someone on Twitter who can help you stay within your financial means — whether or not that budget is big or small. To that end, we’ve gathered the top 25 Twitter users who focus on bridal planning so you don’t have to do the searching. The following list of 25 bridal-planning Twitter users is listed alphabetically. All the Twitterers have more than 1,000+ followers, so you can trust their knowledge and expertise — if you base their skills on the number of their followers! @5starweddings: Luxury wedding planning guide, photography and more. Visit the 5 Star Wedding site to find your options. @BigCityBride: This Chicago group takes a fun and fresh approach to wedding planning and design. Leave your stress at the door of their cozy Lincoln Park studio (or at their Web site) as you begin your planning. @bridalbar: The Bridal Bar, located in Utah, has locations in Atlanta, Los Angeles and San Diego. Learn more about this event resource at their Bridal Bar Web site. @BridalTweet: Want to connect w/brides & wedding vendors? Want FREE wedding business advice? Follow Bridal Tweet and visit the community forum at Bridal Tweet. @bridalweddings: Follow this traveling bridal show to learn when they’ll arrive at a city near you. You also can follow their news on their Web site. @BrideTide: Bridetide.com is a wedding community where members share + discover wedding news, trends, ideas and advice. Visit the BrideTide forum to see what we mean. @GetMarried: Get Married Media is a tri-media wedding platform — on TV, online & in print — that inspires passionate brides to enjoy planning every moment of their wedding. @grnweddingshoes: Green Wedding Shoes is all about southern style. You may enjoy the images you’ll find at the Web site, where you could discover that the southern wedding has become more modernized! @itsajaimething: Meet this wedding blogging, high-heel wearing, red wine drinking Chicago girl who loves to plan, create, inspire. You also can visit Jaime’s Web site at It’s a Jaime Thing. 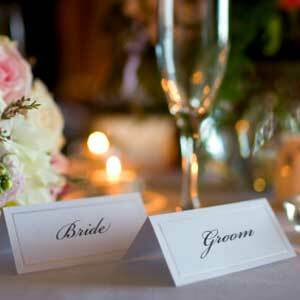 @lvwedconcierge: This is your Las Vegas Wedding Planner creating romantic, memorable & stylish celebrations of love & life. Learn more at Tracey’s Web site. @junebugweddings: Co-Founder of JunebugWeddings.com is Tweeting! A trusted wedding planning resource, online mag and inspirational blog. @OneWed: You can find 225,000+ local vendors, ratings and reviews, online planning tools, wedding ideas and inspiration and more with this Twitter user and through their OneWed Web site. @polkadotbride: What are brides-to-be planning in Australia? Learn some tips that may stir your fancy through this Twitter account and its accompanying Web site. @queerlywedweb: Are you LGBTQ? Then, you might enjoy this wedding directory and blog aimed specifically at the LGBTQ community. @Ruffled_Blog: Are you looking for vintage ideas for your wedding? Amanda Nistor has some ideas for you through her Twitter account as well as on her Web site. @savvybride: If you go to this Twitter user’s Web site, you’ll learn that not only is the bride savvy, she’s BUDGET savvy! Get your fill of information, inspiration, and ideas to help you plan your dream wedding on any budget. @stylemepretty: This Twitter user offers wedding dresses as well as tips for your wedding. See more at the Style Me Pretty site. @styleunveiled: This Twitter account represents the online Style Unveiled magazine. Plan your wedding with style! @theknot: These ladies eat, sleep, and breathe weddings. You can visit their site at The Knot. @TweetMyWedding: If you want some help in Tweeting your wedding day, be sure to use this tool. Visit the Web site to learn more. @WeddingChannel: This is your Tweeter for the top-notch wedding site. Visit them on the Web at the Wedding Channel. @weddingchicks: Follow this Twitter user or visit their Web site to gather some ideas from real weddings, real brides and real bargains. @WeddingRadio: Want to listen to on-demand wedding planning talk? Tune in to this Twitterer and switch to their podcast site for more information. @weddingsites: Brenda is Tweeting her expertise. Visit her site to learn more about her choices of the best wedding Web sites around. @weddingtidbits: Kelly McWilliams is your wedding planner and designer, who is “rather passionate” about all things wedding. Learn more at her blog. This entry was posted in How-To and tagged Wedding, wedding planner on April 7, 2010 by ewoman. It so nice to be included in your list of top 25 twitter users. What an honor to be included, thank you so much!! !